During 2017, the company continued to work on providing its employees with the necessary tools and knowledge to deal with the digital transformation in which the company has been immersed for years. The main new feature here relates to the creation in 2017 of the “Digital Transformation School”, where digitalisation is tackled through cultural change in the company, and employees are provided with the necessary tools and concepts to implement this transformation. Through a blend of e-learning and classroom teaching, the headquarter employees have the chance to participate in various workshops and talks given by experts in technology and digitalisation (both in-house and external), where the content is adapted to suit participants’ needs. The Digital Transformation School is aimed at all of the company’s structure, and its content covers both specific areas and transversal ones. Accordingly, since 2017, 23 specific trainning sessions related to big data, robitics, digital marketing or e-commerce have been carried out, which represent around 190 hours and the trainning of 900 workers (404-2). In the coming years, the company intends to export this concept to the other countries in which it operates. In addition, the digital transformation allows the company to promote its headquarter training through e-learning platforms, acquired in 2017. Of note is the language training (20% of which is online) and the Code of Ethics training. This digital adaptation also applies to store employees. 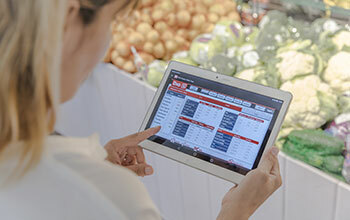 In Spain, digital training in stores is focused on providing supervisors with the necessary tools to tackle the digitalisation of daily business management (including optimising stock management, the store management application, the franchise application, invoicing and franchisee reports) and to improve knowledge of the customer through tools that measure customer satisfaction, such as Qualtrics. 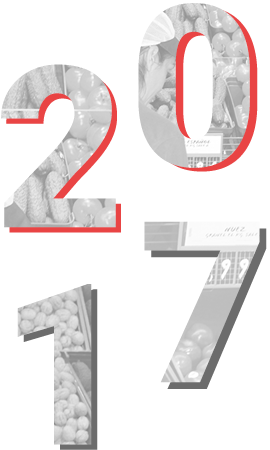 Of note in 2017 was the training processes for Clarel staff based on managing the product ranges. The first “demo trivial pursuit game” has been developed, whereby employees challenge each other to gauge their level of knowledge about Clarel as a banner, sales techniques, and store operating processes, with a total of 5,200 challenges in the last quarter of 2017. In 2018, this will be rolled out across all Clarel stores. In the Human Resources area, there is a focus on new technologies and social networks to streamline talent attraction in order to create the Employer Brand. Accordingly, the company has a corporate profile on LinkedIn, which serves as a recruiting platform and source of information for potential candidates interested in the profiles requested. This platform is managed by the Group Human Resources talent attraction team. During 2017, this project was extended to include Brazil, with the aim of supporting the rapid business growth in the country. Thus, DIA Brazil has its own LinkedIn profile where it publishes its job openings and then carries out its recruiting work. In Portugal, an in-house application was also launched in 2017 that focuses on managing candidates and streamlines the recruitment processes, in line with the Group’s digitalisation strategy.